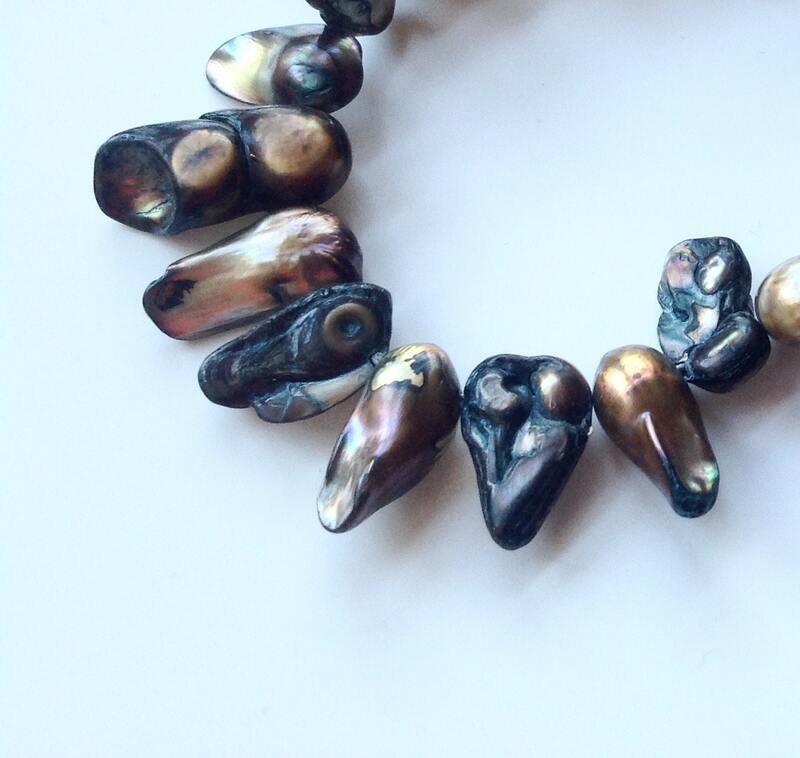 I have created a statement bracelet out of these unusual conjoined freshwater pearls. 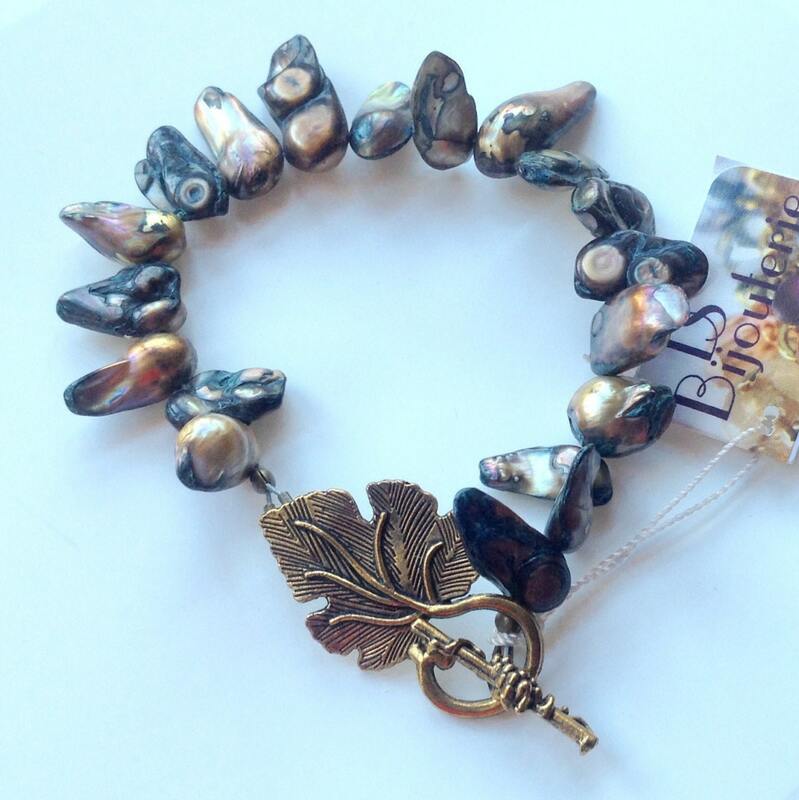 The brass leaf toggle complements the pearls very well, and make a statement as well. Length is 8 inches. Since it is a bulky bracelet, they need to be longer. In the event that you need it shortened, I can do that at an extra charge. I do not lengthen any pieces. I stand by my work, and want you to be pleased with your important purchase. Each of my pieces of jewelry is one of a kind. I do not make the exact same design again, or in other colors. You will be the only person that has this particular piece, nobody else.